Who Does This Powered PA Speaker Appeal to? 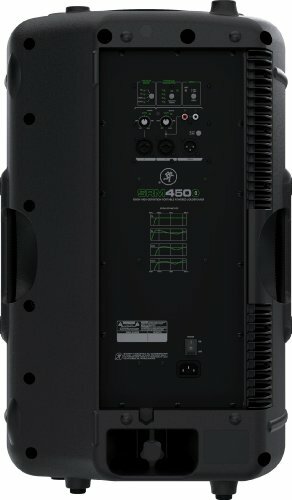 Conclusion – Is The Mackie SRM 450 The Right Powered Speaker For You? The importance of a PA speaker cannot be overstated. If you are a musician, then you know just how crucial it is to own quality speakers. They work to help you out in both live settings and in the studio. 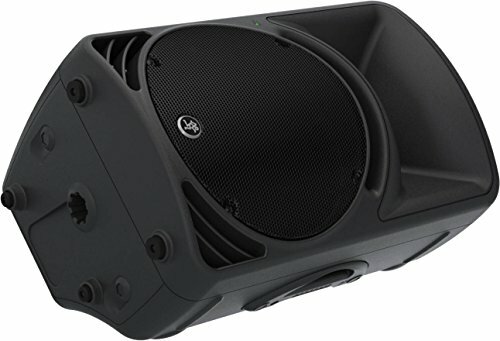 If you are looking to purchase a new powered PA speaker, then you want to make sure that you are buying one that will meet your needs perfectly. There are a bunch of different options on the market so it might take you some time to figure out what speaker to focus your attention on. 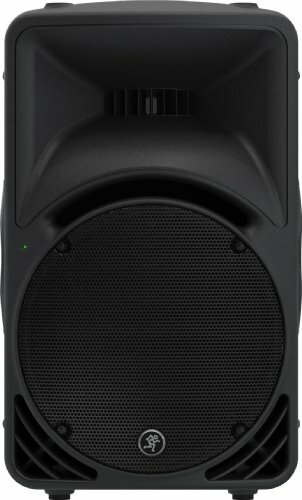 The Mackie SRM 450 is a very high-quality powered PA speaker that is going to appeal to many people. This type of speaker works well in multiple different situations. It should not be difficult at all to use a quality monitor such as this to its full potential. If you have been wanting a PA speaker that has professional-grade quality, then it is possible that this will be the right powered speaker system for you. Before you decide to make a purchase, you are going to want to dig into the information about this PA speaker. This will allow you to get a good idea of what features it has to offer. Knowing more about a product before making a purchasing decision is imperative when you want to use your money intelligently. Continue reading to examine the Mackie SRM 450 in full detail and determine if it will meet your needs. Right away, you are going to be able to tell that this will appeal to musicians. This is a 12-inch loudspeaker that can get loud when you need it to. If you have been looking for a speaker that has the power to help make your live performances special, then this will work out nicely. It has the power that you need while also being able to maintain great sound clarity. A good active speaker such as this is perfect for touring musicians. It allows you to hear yourself and you can also use it to make sure that you are outputting the best sound to the audience. Any musicians who regularly play gigs will be able to make use of this amazing speaker. It has the right features to make it appeal to professionals but it is priced reasonably enough to make it appeal to smaller bands that don’t have as much money to throw around. 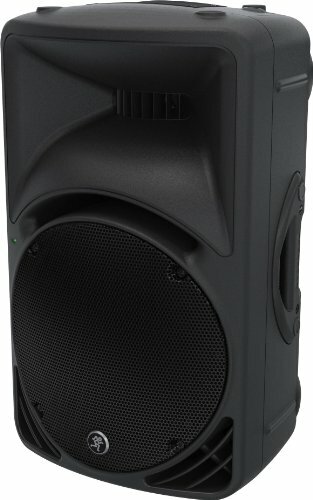 Churches will love making use of a fantastic PA speaker such as this too. It is well known that many churches feature their worship music as a very important part of their service. If your worship music is used to reach out to people through the power of music, then it makes sense to own a powerful active PA speaker. This can make sure that your message is coming through loud and clear to everyone you are trying to reach. It is also possible that speakers such as this will appeal to audio engineers. If you are an audio engineer, then you need to have amazing sound quality to rely on. This active speaker certainly fits the bill and it will be practical to get it set up in your home studio. It may be bigger and louder than many home studios will need but this doesn’t mean that it won’t work for many people. Some people even decide to use loud powered speakers such as this for their homes. It can work nicely when you want to set up a true audiophile home theater system. 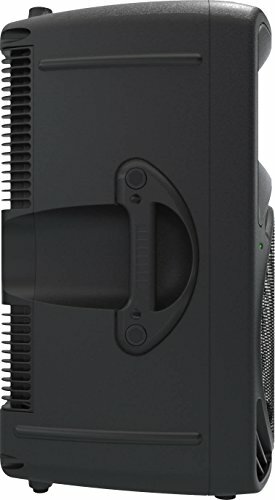 Some might consider a loudspeaker such as this to be a bit much but if you have a large home theater area, it might make sense for your setup. It can definitely provide you with the amazing sound that you are seeking. As with the majority of powered speakers on the market, this is going to be coming in the box all by itself. You will not be receiving any extra cables or products along with this unit. This means that you may want to buy some type of rigging for your speaker and possibly some extra cables. Knowing this ahead of time allows you to factor this in and you can order the proper items. You can expect many great features when you purchase the Mackie SRM 450. To start off, this unit is a 1000 watt loudspeaker that is perfect for playing gigs. If you want to be able to get loud and play to a larger crowd, then this is going to work out fantastically. It has custom transducers that can deliver the volume that you are looking for. This unit can handle pumping out loud audio without any problems whatsoever. It has high-definition audio processing that allows for truly professional sound. When you want your music to sound the best that it possibly can, you will be able to feel confident about using this monitor. The overall clarity of the sound is impressive and it remains clear even at higher volumes. Using the quick one-button speaker mode allows you to select different settings. You can switch between PA, DJ, monitor, and soloist with relative ease. This allows you to pick the perfect setting to match what is going on at the moment and it can all be done on the fly. You will be able to make things sound great no matter what you are using this powered speaker for. This unit even comes with a feedback destroyer that can eliminate background noises. All of this can be accomplished with one button, making it one of the easiest speakers to use. The integrated two-channel mixer is very nice as well. It features dual Mackie Wide-Z inputs and is something that you will get a lot of use out of. One good alternative to the Mackie SRM 450 will be the Seismic Audio Dual 15” DJ Speakers. This provides a similar experience to the SRM 450 speaker system. If you are looking for loudspeakers for an event, then these will work out great. You get two of them for the price of one Mackie SRM 450 powered loudspeakers. Depending on your needs, the DJ speakers may be a better value. Keep in mind that the Mackie SRM 450 is superior in many ways so if you’re in a band that is looking to play gigs, the Mackie is likely the way to go. No matter what your needs are, this speaker is likely going to work out great for you. If you are in a band, then this will be perfect for giving you the right sound while playing a gig. It is perfect for churches and can make worship music sound as powerful as possible. It even has studio applications for audio engineers or professional musicians. If you just need a loud powered speaker to set up a home theater system, then this is going to work out for that too. It might even be too much speaker for those purposes but that will depend on the size of your setup. This is an amazing product that is easy to recommend. It works great and has amazing features that add to the overall package.